your website is your company’s digital footprint. Today it is more important than ever to have a visual representation of your business on the web. More and more companies need a website for credibility and sales. The web is an amazing platform to reach new customers and service existing customers. visual views specializes in custom web design and can deliver your view digitally. your website is an evolving view. it is never complete. Because of this fact you need a content management system that can grow with your business. visual views specializes in building websites and uses the content management system WordPress to achieve this goal. With WordPress you can build a blog, a website, or both. 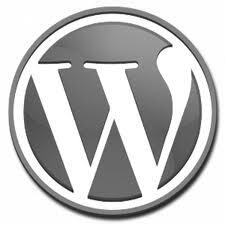 WordPress is one of the most popular blogging tools available. But what many people don’t know is that it is a powerful Content Management System (CMS) that can be used for more than just blogging. Very easy CMS system. Easy to navigate. No code knowledge necessary. SEO friendly. Google likes WordPress sites and picks up on them quickly. WordPress has an extensive web library of templates and plugins. Templates are used to change the look and feel of your WP website. WordPress is very scalable. It is easy to build a small website and build from there as needed. responsive design. your site will look good on all technologies. visual views develops websites from the ground up for a variety of clients and businesses. Before the web design and implementation can begin the client needs to enter the planning phase. It is important to think about the strategy and purpose of your site rather than just the pretty picture. Without a clear strategy your website will not succeed. Review the visual views planning tips below to help you define your strategy. Website Mission: What is the goal for the website? Why will people visit your website? What is the the ultimate task the website must achieve. Audience: Who will visit your site and why? How do you visually please this audience? How do you reach this audience? Keywords: What keywords do you want your site to rank on in search engines? Defining your keywords early is key in understanding the purpose of your site and who your audience is. Your keywords should be reflective of your mission and your goals for the site. Site Structure: What types of pages and widgets do you need on your site to achieve your mission. Do you need a ecommerce store? Do you simply need a brochure site? Create an outline of the structure of your site. Content: Content is key to any site. Without relevant content your site is useless. Visual Views can help you in the writing of your content, but you know your mission best and need to supply the foundation of the content. Marketing: How are you going to market your website? What are you going to do to set your site apart from the million other companies like yours? Are you going to use a SEO plan, Link building, social media, press releases. Without a marketing plan nobody will know your website exists. It is key to plan this into any web design. Website design starting at $700. Contact visual views today to get a custom Quote.